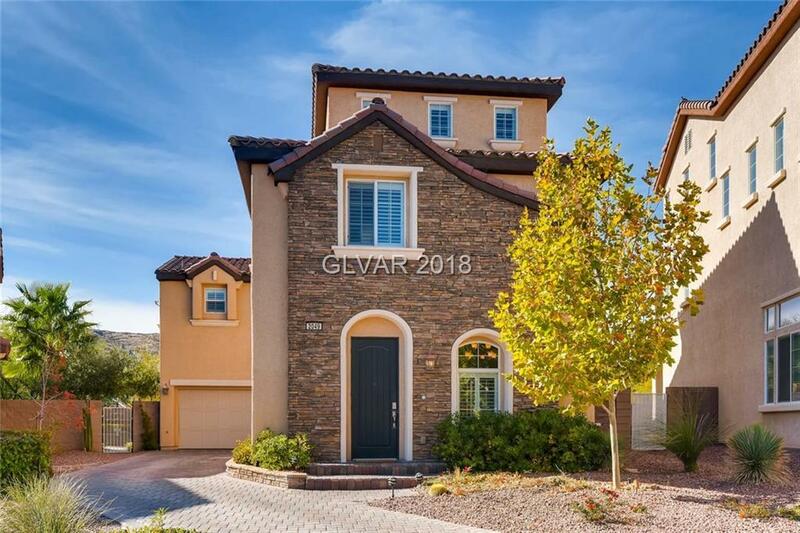 Beautiful home in terrific Summerlin Centre location! Walk to park/ community pool, new Summerlin park being built & downtown Summerlin. Lovely plan with three bedrooms on 2nd floor, plus a huge bonus room on the 3rd floor. Many upgrades including pavers front and back, shutters throughout, tile & stone floors on first floor, wood laminate in all other areas, ceiling fans throughout, granite counters, stainless appliances, garage storage. Directions: West On Summerlin Centre (Turns Into Carleton Mills At Round-A-Bout), Left On Sutton Falls, Right On Newton Commons, Left On Hollywell.